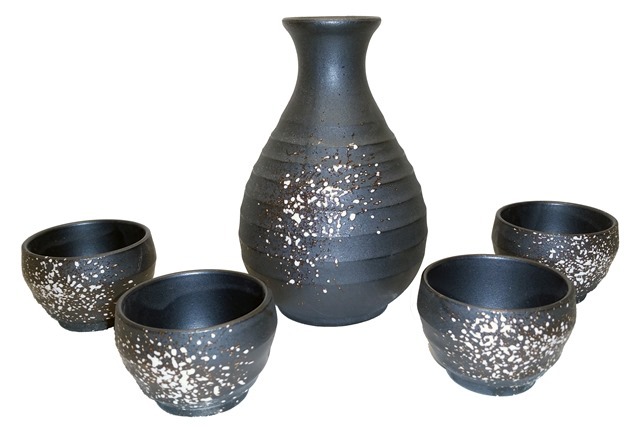 Our Speckled Stoneware Sake Set is a great option for serving warm sake. It is slightly more delicate than our glazed set and so is also suitable for cold sake. Before the set is fired it is speckled with white glaze to give a unique and chic appearance.